If I had to teach a course in writers I think I’d choose Southern women writers. I’ve read a few and there’s quite a few I haven’t read (for example, I don’t believe I know the work of any Black Southern women writers). Here I want to write about someone who is possibly the opposite of Harper Lee who wrote the novel To Kill a Mockingbird that I wrote about in a former blog post here. 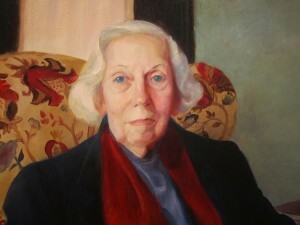 This someone is writer, Eudora Welty. Born in Jackson, Mississippi, she is known for her short stories and novels that have been revered by both readers and other writers. To be honest it was not her stories or her novels that drew me to this writer — it was her autobiography “One Writer’s Beginnings” that I read and found so compelling. This autobiography is actually based on a series of three lectures that Eudora Welty gave at Harvard University in the early 1980s. It is a loving explanation of this writer’s childhood and of a writer’s first foray into the world of the senses. For example, there is a description in this work of “sound” and how she remembers hearing things for the first time in a singular and acute way. Another recollection of hers is a description of a family trip that her family made by car in the 1920s from Mississippi to see relatives in West Virginia (am not entirely sure about the state — it was some distance away however still in the South) that is very memorable. She talks about how the car didn’t go very fast nor were the roads very good and what a process it was to travel this way. Her family, being fairly well off financially, were actually unique in that they owned their own car also. Ms. Welty conveys her childhood wonderment at this excursion drawing the reader into how extraordinary this seemingly ordinary family trip was. I have since learned that Eudora Welty, similar to Harper Lee, received the Pulitzer Prize in literature. Different from Ms. Lee, Eudora Welty’s award was given some years after she’d been publishing her work. 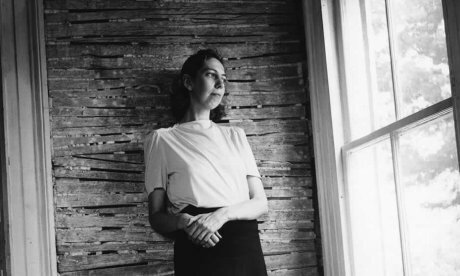 Interestingly I learned also recently that Eudora Welty also stopped writing for a time later in her life when she began to feel that her writing was not the caliber that it had been. Well, perhaps Harper Lee and Eudora Welty weren’t so different after all, at least not in the respect that they judged their own work perhaps with their own keen eye and if what they created didn’t measure up, they weren’t going to put it out there for the world to read. It makes you wonder if people aren’t too hard on themselves, however the idea of quality and achievement is what an artist strives for in a creation, otherwise why bother? I don’t seem to have that problem (ha ha) — i can think of the mediocre stuff i’ve done in my own life that at the time i thought was all right for presentation (especially in the way of creating something in the visual arts). I do admire people who do have a certain level of mastery that they are aiming for and don’t settle for something that doesn’t measure up in their own eyes.